Amanda Lee is Professor of Nutrition and Public Health at the Queensland University of Technology. She recently chaired the National Health and Medical Research Council’s Dietary Guidelines Working Committee, and was previously Director of Nutrition and Physical Activity within Queensland Health. 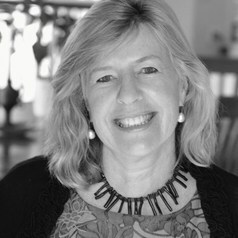 Amanda currently serves on several national and international committees, including the National Academy of Science Nutrition Committee, as chair of Food Standards Australia and New Zealend's Consumer and Public Health Dialogue and leads the food price and affordability domain of the International Network for Food and Obesity/Non Communicable Disease Research, Monitoring and Action Support (INFORMAS). Her research interests include food, nutrition and obesity policy, food supply and pricing, health equity, environmental sustainability and Aboriginal and Torres Strait Islander nutrition. She has over 35 years experience in public health, nutrition and Indigenous health in a range of sectors.